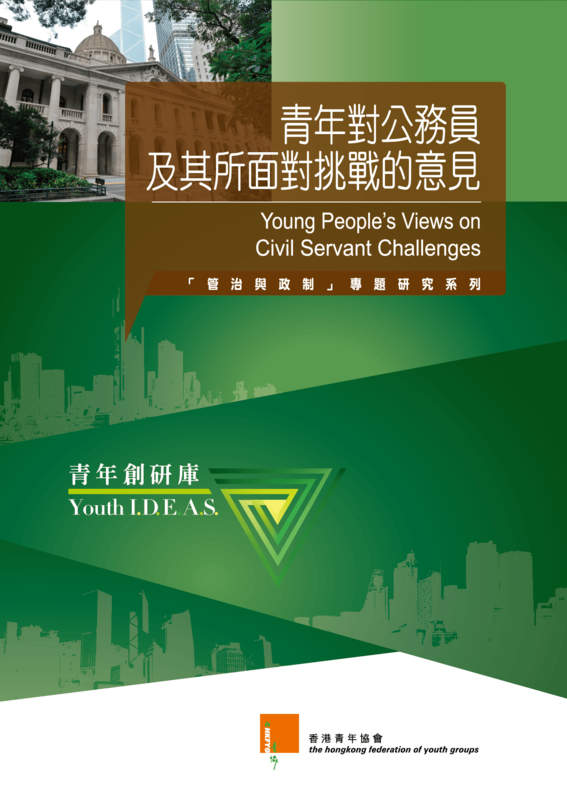 A territory-wide telephone survey on 523 young people aged 18 – 39 noted that 46% considered “serving the public” as the greatest contribution made by the civil servants. On average, respondents gave 5.94 points regarding the performance of the civil servants (0-10 scale, 10 indicating very excellent, 5 indicate a pass). Nearly 57% agreed with the notion that “you trust the civil servants more than the Principal Officials”, and some 45% believed that the civil servants would tell the truth. When asked about the impression that the civil service have left to them most, 32% referred to the option of routinism. In terms of drawbacks, close to 27% said that there was a lack of accountability in the civil service. The civil servants are working in a more challenging environment nowadays. It is worth putting more efforts on strengthening the responsiveness of the civil service, as well as enhancing mutual trust between the civil servants and the public.